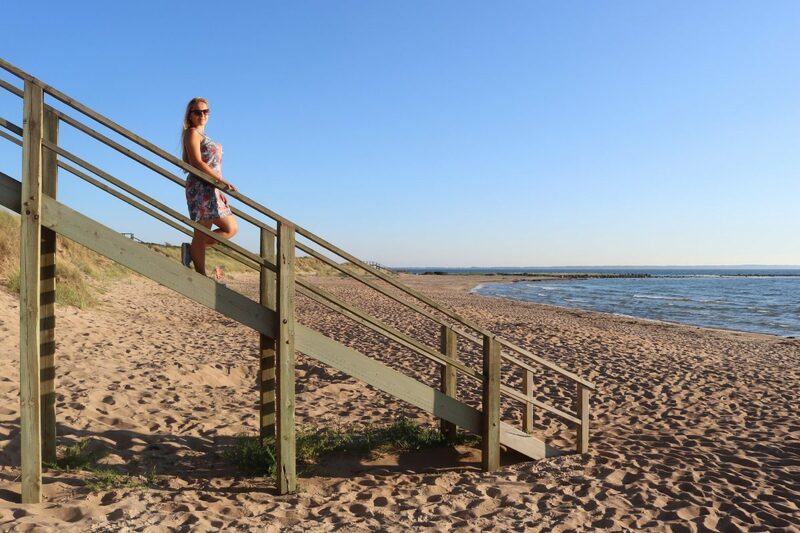 If you are planning to visit Bjäre Peninsula in northwestern Scania the small seaside town of Vejbystrand is a perfect location to book your accommodation. 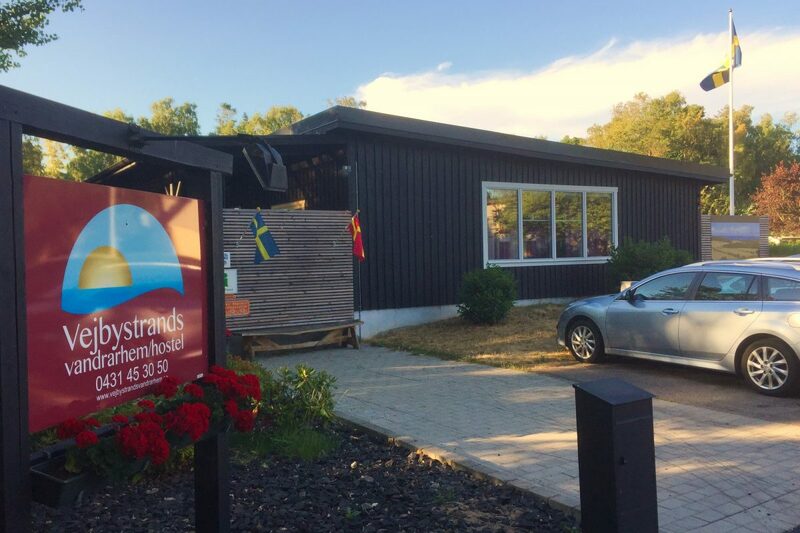 During our one-month long roadtrip in Sweden we stayed here at the hostel Vejbystrands vandrarhem and used it as our departing point for our daily excursions in the area. 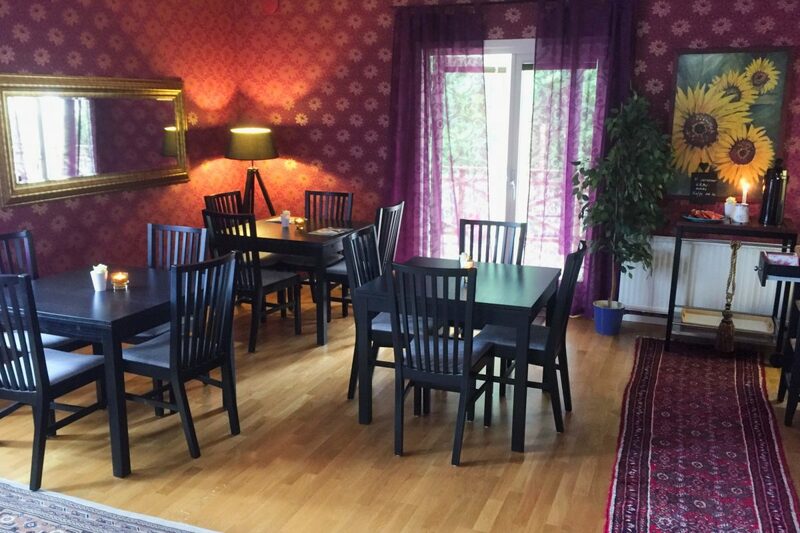 Swedish hostels are usually very well equipped all around the country that is why we sometimes book our accommodation at a hostel instead of a hotel. 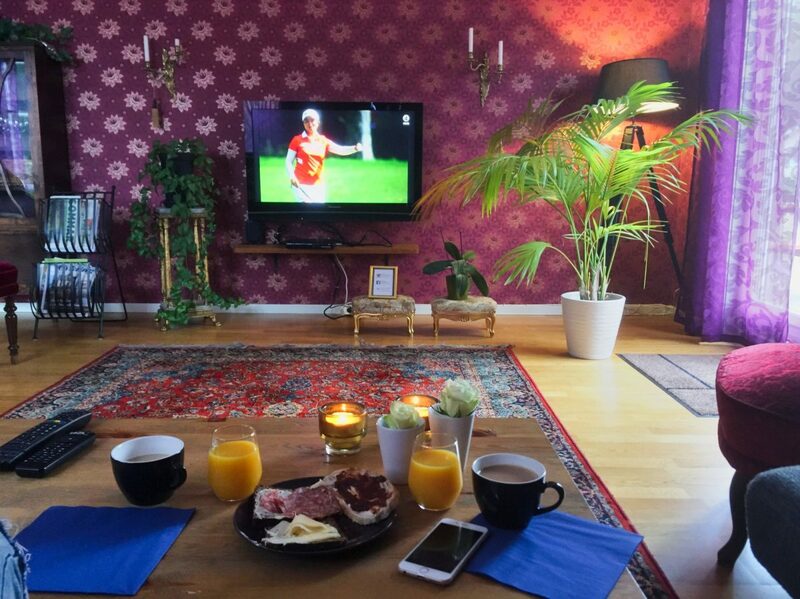 We had that in mind when booking at Vejbystrand hostel but the truth is the hostel went far beyond our expectations. What we could not expect upon arrival to the hostel, which by the way is located at a residential area in Vejbystrand just some 500 meters (1640 ft) from the beach, was feeling like at a hotel with the obvious exception of toilets and showers not being in your room, of course. Something that really surprised us when checking in at Vejbystrand hostel was the obligation to take off your shoes while being inside the building. 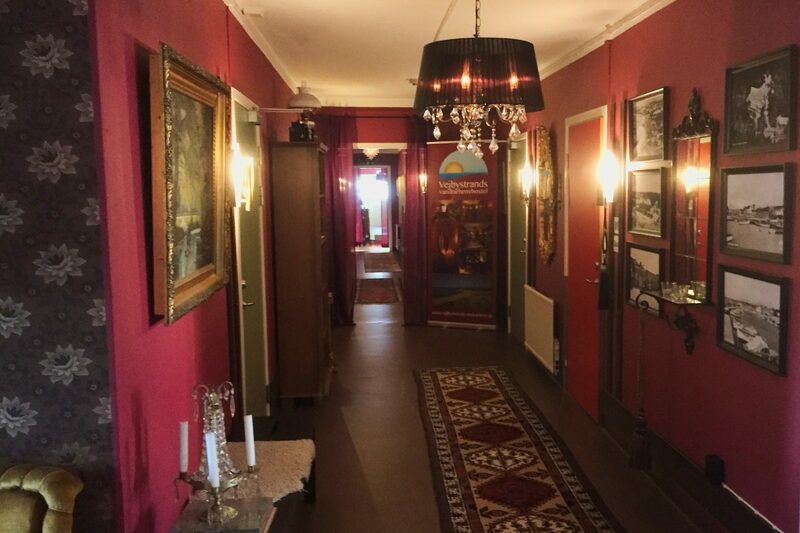 Sure, everyone walks barefoot inside Swedish homes but we were not expecting it at a hostel. And then there was this thing about fearing our shoes would be missed in action after a while but hey we were not newcomers to Sweden and we already know that everyone does that and usually nothing ever happens. 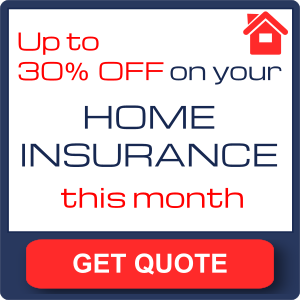 Something you must bear in mind if you are traveling in Sweden and want to book accommodation at different hostels is to bring your linen with you otherwise you will pay for renting them at every hostel you visit. It was great knowing that the hostel had been renovated recently and everything looked like new. 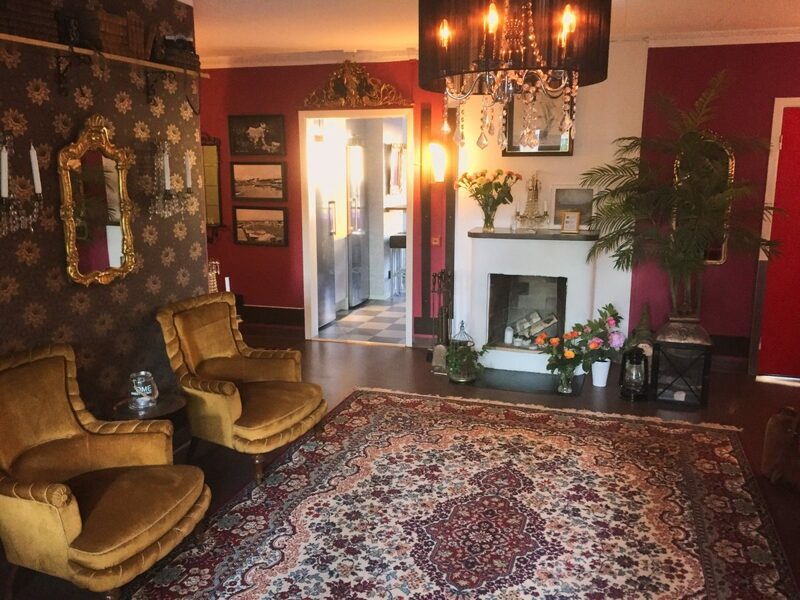 But things kept going better when we saw that the Swedish taste for decoration and interior design was present in all the rooms, corridors and common areas like the entry hall or the breakfast room. Everything is furbished in a tasteful gothic / barroque style and matching colors. Not your usual hostel in other words. All rooms at Vejbystrands Vandrarhem have a TV and Wi-Fi and can fit one or two extra beds depending on the room size. Every room is tastefully decorated in a unique style as if you had booked accommodation at a fancy boutique hotel in a bigger city. All the things you may need during your stay are available in the hostel: kitchen, laundry, common areas and even a covered outer space with sofas to enjoy open-air activities during the hot season. By the way, the hostel is open all year round so if you plan to visit Scania during the autumn or winter you can also choose to stay here. Breakfast at the hostel is very popular and is prepared with focus on local products. KRAV-certified coffee, tea, juice, seasonal fruits, homemade dough and rye bread, homemade marmalade and cheese and , cold cuts from a nearby farm at Vejbystrand. 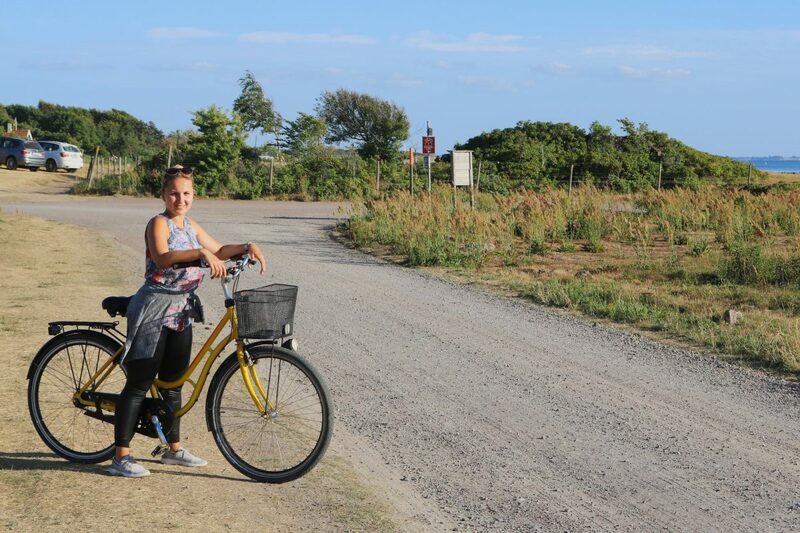 Yet another interesting thing to highlight is the possibility to rent a bike directly by the hostel entrance with the help of an app and thus riding with your wife, friends or family along the town or by the beach. To sum it up we can recommend Vejbystrand hostel to families or couples looking for an affordable stay in Sweden, next to the beach in a really quiet town. The town is located at Bjäre Peninsula but not far away from the southern Kulla Peninsula which makes it a great starting spot to discover this area in northwestern Scania. 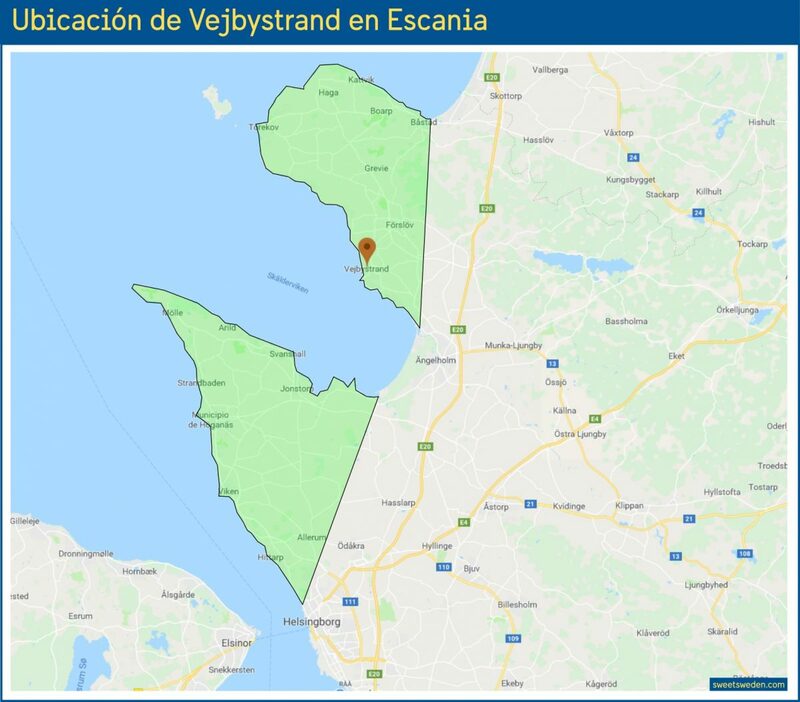 In fact Vejbystrand is just 25 minutes away from Båstad, Swedish capital of tennis, some 20 minutes away from Ängelholm and 35 minutes away from Helsingborg and Höganäs. 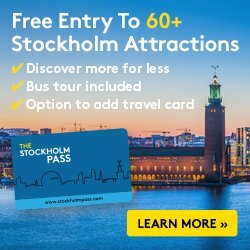 If you don’t plan to rent a car in Sweden it is possible to arrive using public transportation in Scania from Malmö or Helsinborg. As a curiosity you will not see any picture of our room at the hostel because we arrived so tired that we just undid the beds quickly and later during the other days we just forgot to take it. However you can see some pictures here. You can also check prices for sleeping at Vejbystrands hostel according to Booking offers were sometimes breakfast is also included. Scania is a great region for hiking and biking. You should check Kattegatleden one of the main biking routes in Europe that runs through Vejbystrand. If you want to find other interesting activities to do and things to see in Scania read some other articles by clicking on the links or leave me a comment and I will help you find more.